now reading: Do Cats Purr When Humans Aren't Around? Do Cats Purr When Humans Aren't Around? Why do cats purr? Humans tend to think that purring is a sign of happiness in a cat – and indeed it can be – but there are other reasons why our feline friends produce this particular vocalisation. 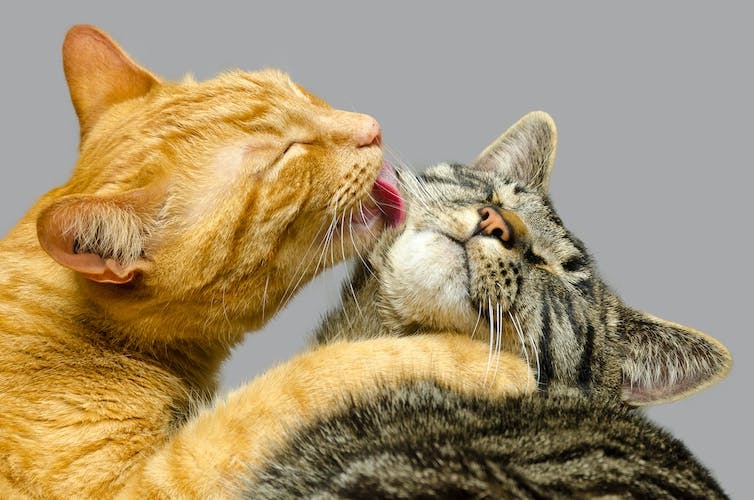 Purring is a habit that develops very early in a cat’s life, while suckling from its mother, so clearly it is not a sound that is directed solely at humans. Cat owners will be well aware that a cat can produce more than one kind of purr, just as they have a whole repertoire of meows, chirps, growls, spits and other sounds. The purr that is produced during suckling, is quite different in quality to the purr that you will hear when your cat is sprawling across your lap being stroked. Analysis of the sound has shown when a cat is asking for food, whether from its mother or a human – the purr contains a high-pitched note that is similar in frequency to a cry (though not as loud). 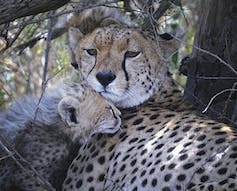 It may have something of the effect of the cry of a newborn, which affects the hormonal state of female mammals and elicits a care-giving response. When a cat is being petted or is snuggled up to its owner on the sofa, the purr it produces is much more soporific and generally soothing, and acoustic analysis shows that the “cry” component is missing. Adult cats will often purr when they are close to or in physical contact with another cat, engaging in grooming for example. They will also do it when they play with an inanimate object, or while eating, which can be at a time when they are alone. However, the most usual time for purring is in company, and it can be the care soliciting sound, asking to be fed or stroked, or an indication of social pleasure. Strangely, vets also report that cats will purr when they are in great pain or just before death. This seems to be illogical if it is a sound relating to pleasure, but in fact, it could be that the cat is asking for help. It could also be a way of masking the fact that the cat is injured and vulnerable. If you are a small animal, even a carnivore, it is not good to show weakness as this could encourage larger predators to come along and eat you. The purr may be the cat equivalent of “everything’s fine, I’m on top of the world. Nothing to see here, move along please”. Can big cats purr too? 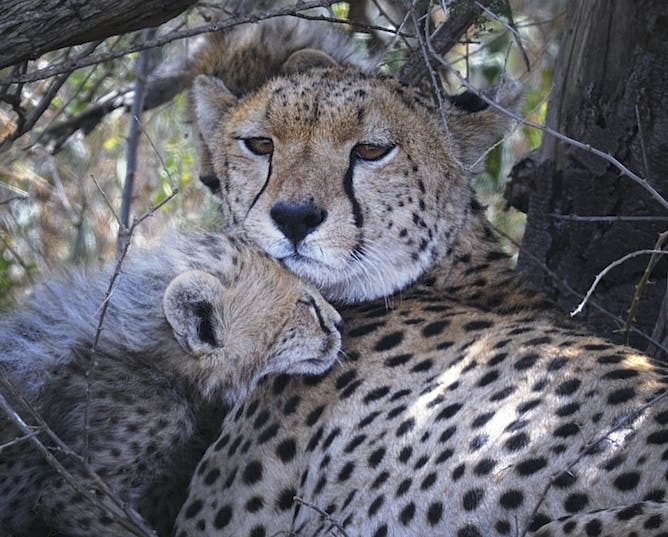 There has long been a debate about whether the “big cats” can purr – and the belief has been that cats that roar, such as lions and tigers, cannot purr. Although there is no conclusive evidence on this subject, it seems that even cats that roar purr as cubs while suckling. All mammals have a bone or series of bones in the throat called the hyoid apparatus, which supports the larynx and tongue. In cat species that roar the hyoid apparatus is not entirely made of bone but retains some parts as cartilage, while cat species that purr have a hyoid that is completely bony. This modification may permit roaring, but does not necessarily mean that purring is impossible. It is believed that cheetah, ocelot, margay, serval, and lynx, among other species, can purr, and it is suggested that jaguar, leopard, lion and tiger cannot – or if they can they’ve kept it secret all these years. The actual process of producing the purring sound is complicated, and is still not completely understood, but it involves the muscles of the larynx and the diaphragm being activated by bursts of nerve activity that originate in the brain and occur 20 to 30 times every second. This happens on both in and out breaths, which accounts for the continuous sound of the purr. The fact that a cat can do all this and simultaneously eat, knead the cushions, rip the chair leg to pieces or weave complicated patterns through your legs without getting stepped on makes one wonder what they would have achieved with opposable thumbs.